Quantom, a young startup that improves the efficiency and lifetime of photovoltaic power plants, wowed ENGIE’s Innovation team enough that we awarded it our Startup Crush Award last January. From August 25th to 27th, Quantom’s two co-founders flew ENGIE’s flag at the French Startup Cup in La Rochelle. We took the opportunity to speak to Yan Baratte, one of the two co-founders, about Quantom’s projects and vision. Q- Hello Yan, you joined Harold Darras to co-lead Quantom at the beginning of the year. So what is Quantom? Yes, Quantom was created in 2015 by Harold Darras. 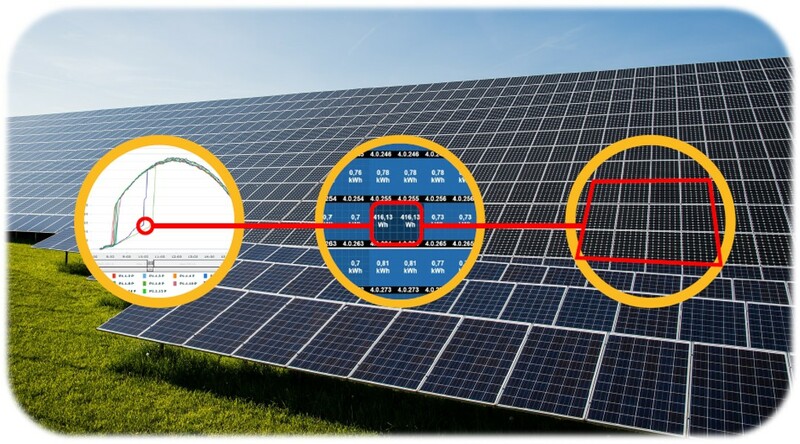 Its first goal was improve performance for photovoltaic power plants operating above 100 kWp, meaning medium- to large-capacity plants, especially those that were underperforming. After a promising start and several successful projects, I joined Quantom early in 2017 as a co-founder. The company's ambition has since evolved, and we’re now developing a more universal offering with a unique and original value proposition: to increase the profitability and lifetime of any and all photovoltaic energy equipment currently in operation, building on our overall expertise in photovoltaics and innovative technologies. We rely on a network of partners including installers, maintenance companies, and manufacturers, but also (and especially) leading research centers from the public, private and university sectors. Harold and I have twenty years of experience in photovoltaics. We know the French and European markets perfectly, and we share a vision and ambition that could be summed up as "making solar energy the keystone of the energy model of the future." Q- What’s innovative about your project? First of all: the vision. There is also a kind of acceptance that energy production will decrease over time, around 1% per year. Equipment maintenance is conceived in reaction to this, and its main goal is usually to limit production losses. At Quantom we oppose this somewhat fatalistic vision. We see things differently. We plan for much longer than the 20-year horizon. In fact, we are certain that we can at least double the lifetime of your equipment with good maintenance and conditions. The equipment may have to be modified over time using technologies specific to currently operating power-generating facilities, which is not the case today. With this process in mind, we can plan for preventive maintenance, even predictive maintenance, in order to further improve performance. Tracking performance over time, allowing us to help you meet lifetime performance goals, a process that relies on tools we’ve developed in-house. We will be able to offer preventive and even predictive maintenance to help prevent issues and act before it’s too late. Performance monitoring is done at the level of each panel, which is also a major innovation, as current practices are generally limited to monitoring the overall equipment performance. Totally new optical technologies such as nano-structured smart mirrors that let us manage irradiation intelligently, particularly by making sure that only useful spectral bands get to the panels (and thus filtering infrareds, which harm the panel as they heat it). Digital and electronic technologies that analyze what’s happening for each panel. We use algorithms to analyze the physical signature of the electrical signal to understand what kind of degradation there is: dirt, micro-cracks, or more serious problems. We can then plan smarter corrective measures: either fixing the problem or replacing the panel. Q. Do you work with individual homeowners? Not currently. For one thing, the stakes are lower: even combined, all of the residential PV panels in France (about 300,000 homes) produce less than 25% of total installed capacity. For commercial reasons, it's also less straightforward to work with that market. And lastly, the technological investment we propose would probably be too expensive for an individual user. However, we're working on technologies that are getting cheaper and simpler to implement, which means we could work with smaller power generating equipment in the future – but it’s not our priority today. Q- Tell us about your story with ENGIE. 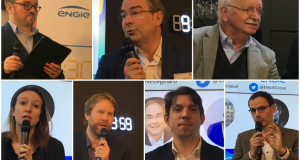 Our story with ENGIE began last year at the winter seminar of RETIS, the incubators’ network, which ENGIE hosted. After meeting about a hundred startups, ENGIE decided to award us their Startup Crush Award. One of the positive consequences of winning this award was that we were invited last June to ENGIE’s Energy Lab at Viva Technology, the trade fair. Participating in the event gave us a major boost. At Vivatech, we were able to meet with your technical and commercial teams to discuss working together on ENGIE’s photovoltaic facilities, which are the largest in Europe. Isabelle Kocher also visited the booth, and we had the chance to have an informal discussion with her, which helped open doors. We were also invited to participate in the French Startup Cup at the end of August in La Rochelle, where we sailed on ENGIE’s boat and met with many other startups. 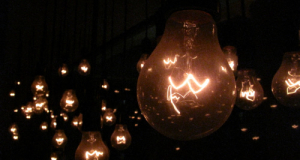 Q- What does the future of solar energy look like? The future of Quantom is definitely part of our vision for the future of solar energy, as is our contribution to it. As I said, for us, solar energy is at the heart of the energy transition, and our ambition is to solidly anchor solar energy within the energy model of the future. We fully adhere to ENGIE’s “3D” typology: Decarbonized, Decentralized, Digitalised. Our goal is to make sure that solar energy meets these three criteria. Solar energy is decarbonized by nature. It should be decentralized as well, but paradoxically, the way it’s been developed hasn’t been thought out as such. Solar power plants are currently mainly designed to generate and distribute energy in greener and/or cheaper ways. For us, the challenge is about bringing producers and consumers closer together. To do this, facilities have to be equipped with tools to that make this relationship as fluid as possible. Digitization is how this will happen, allowing us to prepare for the economic model of the future in which people will be able to sell energy to their neighbors. To do this, we need to be able to control the power producing facilities with the highest degree of accuracy possible. Beyond the goals of achieving performance and profitability, our technologies have to help move in this direction. Q- How will Quantom contribute to this? We intend to work on existing European solar facilities (with 100 GW installed) and upgrade it to meet future challenges. In our estimate, less than 1% of the existing equipment is digitally connected. So there’s a lot to do! We also have to educate the market, raise awareness on the issues, explain to owner-operators that the life of equipment does not end at 20 years with the end of the purchase contract. Of course, we want to work on more and more projects, but we also want also to do this work with a whole range of stakeholders, including research centers, industrial groups and plant operators, to accelerate innovation and make solar energy more competitive, Increase production and plant life to make solar energy truly inexhaustible.